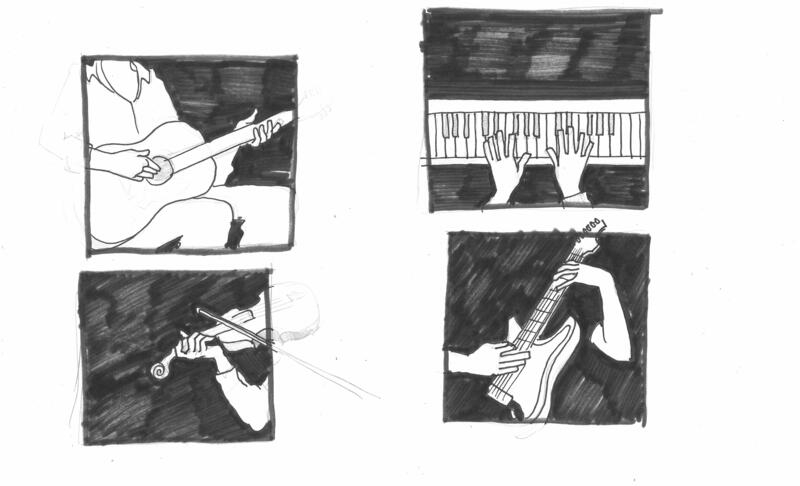 Thumbnails for the next CD cover design I’m doing for work! I got together with our staff photographer Bennett Dewan with just a few loose ideas. He took a series of gorgeous photographs of our friend Joe playing the guitar and sent me the best ones to illustrate. Updates soon! This thing is a quick-turn job.